After spending her afternoon with Alyssa and receiving her charge, so to speak, Leah heads out the next morning to visit Steven Asher in Oakhurst. She calls first to introduce herself and to make sure Steven is willing to talk to her. At the house, she notes that the home at 466 East Lake Drive, is not far from a house she owned in Kirkwood several years ago, before she moved to her condo in Midtown. The house is two stories with a full porch, and looks like it was built mid-century. The exterior could use a coat of paint, but otherwise, it’s well-maintained and in excellent shape. Leah estimates its value at well over $300K, no doubt considerably more than what Steven’s parents had paid for it. She steps up onto the porch and rings the bell. “I’m hoping, if we put our heads together, we can figure out why the Princess is acting like this,” Leah says. “It’s what I call Alyssa,” Leah says. “Then you don’t think this is about Becky,” Steven says. Steven takes the photo, looks it over, and nods. “I remember the trip. Aunt Rachel — our guardian at the time — didn’t think Becky was old enough to go on her own.” He hands the photo back. “Obviously Rebecca didn’t agree,” she says as she returns the photo to her pocket. He relates a story to Leah. As he tells it, she visualizes the encounter. Leah imagines a much less idealized version of Rebecca than the one Alyssa has portrayed but still generally keeping with the image she’s formed from Alyssa’s depiction. Rebecca backs into the room from the kitchen, very angry, yelling at someone. Rebecca storms out the front door. “How tall was Rebecca?” Leah says. Leah rewinds the scene. Rebecca returns from the front door and assumes her stance just before confronting Steven. She’s now shorter than she was initially. “Small, medium, or large frame?” Leah says. Leah adds twenty pounds to her image of Rebecca. “Her feud with Rachel got so bad Rachel locked her out of the house,” he says. Leah hears Rebecca’s voice coming from outside the door. 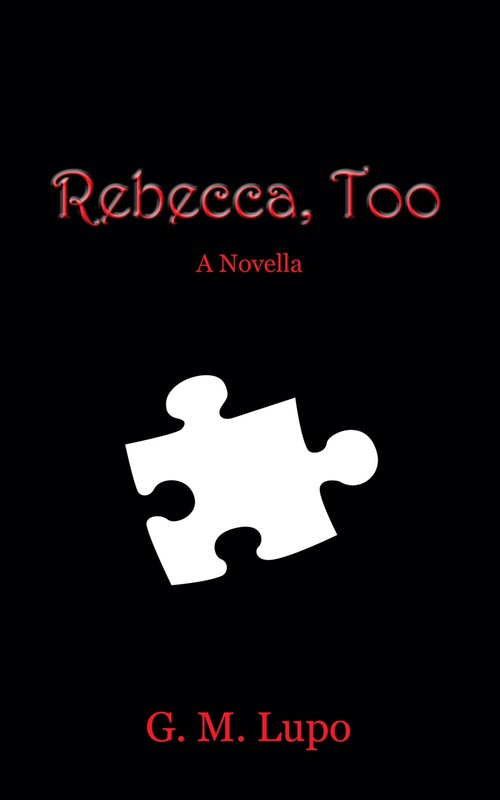 Rebecca pounds angrily on the door, and rings the bell over and over. She sounds drunk. Steven moves toward the door. A woman’s voice is heard. “Steven.” He stops and addresses someone else. “She’s a nurse who specializes in terminal patients,” Steve tells her. “Full basement?” she asks, to which he nods. “I’m an Internet security consultant,” she says. This gives her a thought. “Hey. Want to cover your tracks on the Web? I can show you how to be invisible.” Leah hands Steven her business card. “I teach an extension course at Georgia Perimeter from time to time. I’ll get you a discount if you want to sit in on a session.” He examines the card, nods, and puts in his pocket. “So, what was life like with Rebecca in charge?” Leah asks. Steven relates some stories. During one, Leah imagines the phone ringing, which Steven answers. She hears Rebecca’s voice. “Hey, Goonie, where’s the pizza that was in the fridge?” she says. Steven starts to answer on the phone, then stops himself, hangs up and speaks to Rebecca. She continues to hold the phone to her ear, though she’s addressing Steven directly. “Becky, there was stuff growing on it,” he tells her. “What am I supposed to have for dinner now?” she says. “What’s wrong with your card?” Steven says. “I don’t know. It just keeps getting declined,” she says. “Oops!” she says, covering her mouth. “Tim said you identified her body,” Leah says. “Becky’s cell phone,” he says. “Why would she have called you?” Steven wonders. “Said he used to get calls all the time for Rebecca Asher but only one in the past few weeks,” Leah says. “The sort of information she wouldn’t need if she knew her well,” Steven says. “Becky was much angrier than sad,” Steven says. The doorbell rings. Steven heads to the window that looks out onto the porch. “That’s not your father, is it?” Leah asks. “No, he has his own key,” Steven says. “Who is it?” Leah asks. Steven opens the door, for Claire. The first thing Leah notes is that Claire is very tall, taller than Steven, though that appears to be due to the platform boots she’s wearing, which over-emphasize her height. Her hair is a buzz cut on the left side but well below her shoulders on the right, and braided into a pigtail. She’s wearing a leather biker’s jacket, despite the temperature outside, and white, shorty jeans with fishnet stockings underneath. Under her jacket is a black sweat shirt with its sleeves and collar ripped off, and a V cut at the neck. She’s wearing aviator shades, but removes them when Steven opens the door and drops them into the inside pocket of her jacket. Leah notes that Claire appears very intimidating and unapproachable, but Leah imagines it’s a front. Claire greets Steven with a pleasant smile. She hasn’t yet noticed Leah. “Claire. This is a surprise,” Steven says as she gives him a quick hug. “You surprised me with your call so I thought I’d return the favor,” she says. “LJ Walker,” Leah says as she moves toward Claire, right hand extended. Steven looks at Leah and shakes his head, but doesn’t contradict her description. “Really? Did you know Becky?” Claire asks. “In a manner of speaking,” Leah says, somewhat mysteriously. “What does that mean?” Claire says, looking between Leah and Steven. “Who would do something like that?” Leah says, sounding very shocked. While Claire’s occupied with Steven, Leah takes out her phone and snaps a picture of her. Claire stares angrily at Leah. “Did you just take my picture?” she says. “Then why did you take it?” Claire demands. “For personal reference,” Leah says. “What does that even mean?” Claire says. “Security firm?” Leah takes out a different phone. Steven takes note of this. “How many phones do you have?” Steven asks her. “Well simplify it!” Claire says. “Then you lied about being an old family friend,” Claire says, glancing at Steven when she says it. “Is she telling the truth?” Claire says. “Kind of left out that detail, eh, Steven?” Claire says, circling him. “The crazy lady who thinks she’s Rebecca,” Leah says as though it should be obvious. “It’s what she says,” Steven says. “We thought getting you together might shock her back into reality,” Leah says. Something Claire said comes back to Leah. “You say you’re taking improv classes with Dan, right? “That’s right,” Claire says, pausing. “Does he ever talk about his days in Boston?” Leah says.